Adding to my post, whoever has voted can PM me unless they have posted here. It's been a while since I've last been on here and, for once, actually have two requests to ask for everyone! It would do well to reignite my old passion for writing stories and exploring creativity. If there are any old shippers out there from 2014 and before (a.k.a. YuiParu, SayaYui, Mayuki, Saeyaka, Atsumina, AtsuYuu, wMatsui, etc.) that still have the energy to write more content about them. At worst-case scenario, the stories will not be left incomplete due to life on my end and can be handled together rather than alone. It would be great to help each other out in improving our ability to write and tell stories. For writing samples, my signature has some of them. However, for more recent samples, Tumblr and the OS thread on JPH!P contain them. As for the projects, we can certainly talk via three options (in order from most to least efficient): Discord, Twitter, or PM through the forum. I'm open to most anything, but I have a strong preference for writing meaningful stories and, if necessary, angst and drama. Translation: ALWAYS Romance can be there, but slow burns are what I live for and desire to write about. My activities are sporadic, but working on fictions occur, at a bare minimum, twice a week. Activity will decrease even more during midterms and finals week. This almost sounds like I'm placing my CV on the site, lmao. (I'm not that stiff.) However, I would love to hear from some of you that would be cool to collaborate with me! Whether it be one-shots or a short series, I'm down with it. Plus, I would love to meet some of you too and become friends! Thank you very much, and hope you all have a wonderful day! p.s. 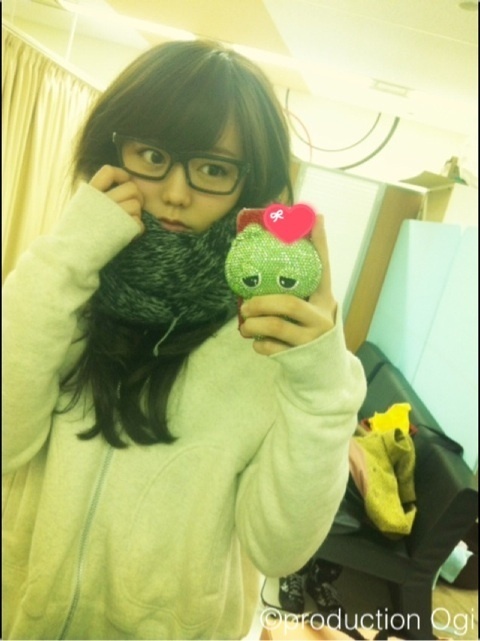 i'm hungry for more mayuki, wmatsui, jurimayu, yukirena, and yuiparu/sayayui work. hint hint, wink wonk. I don’t know if this can help you finding what you’re looking for or not, but since I already made this list for myself a long time ago, I might as well share this to you. However, this list was made in 2012 and I haven’t updated it since then so it might be outdated. The theme is quite diverse, but most of them are action fics (and most are MaYuki and YukiRena since they are my OTP). As for the more recent writers who write action fics, I only have a few names as my most favorites, that is LoyalFlutist (yes, you), kevinwkl (Ultimatum), katekyohit (Love Capture), and sophcaro (Warriors). I don't keep track of oneshots/multishots though, because there are so many of them. And you can always check out the sophcaro's FANFICS MASTERLIST though it doesn't contain all the older fanfics. And good luck for finding collaborators (co-writers)! I will be looking forward for your next projects! IMHO, you better look for someone who is younger or less experienced than you to do your projects, because now you are a senior here and now it’s time for you to teach and nurture other members. If I were still young (as in highschool) I would definitely take your offer and take all the opportunity that I could get to learn anything from you (since you are so awesome), but alas, now I’m already too old and I have to retire from this fandom already. Because cmze-san is too lazy to create an index to her own fics in her signature, here I make the index for anyone who is interested in her works. Well, if I can give advice to the writers here, please make an index to all of your fics and put it in your signature, so that it will be easy for the readers to find and read your fics. First off, I would like to thank you so much for providing me the large list! Old works are a plus since the state of their work (completion status) are more solidified than recent ones. I have vague recollection reading some of them, especially RIVER. (Though did the author really delete it!? I somewhat remember making a comment on the thread about it, but I am unsure if the entire thread disappeared and, for whatever reason, the work had been removed.) Such a shame that RIVER is not up anymore! That used to be a classic favorite of mine in the past. I am flattered that I would be included as one of your favorites, though! I would like to disagree, but perhaps it would follow with the notion of "we are our own worst critics." Reason for saying so is because I am already at an age where work as an epidemiologist-in-training and reading visual novels like Wonderful Everyday at the moment oops is prioritized over my creative brain. That has a major influence in my current writing style as it leans heavily on eloquent delivery rather than pure, passive imagery. It is something that my past self would kill the current me for... and something most writers should try not to indulge too much into. Another thanks for compiling cmze's work too! That must be quite the hassle! However, your hard work with not be in vain as I, and hopefully a couple of us, are thankful for your service. And good luck for finding collaborators (co-writers)! I will be looking forward for your next project! IMHO, you better look for someone who is younger or less experienced than you to do your projects, because now you are a senior member here and now it’s time for you to teach and nurture other members. If I were still young (as in highschool) I would definitely take your offer and take all the opportunity that I could get to learn anything from you (since you are so awesome), but alas, now I’m already too old and I have to retire from this fandom already. Personally, I have to agree with your stance too. Nothing wrong with working alongside with older members (i.e. Llyloo in our Phantom Pain series, which is... still on... hiatus... because we are both so busy...). However, you pointed out major benefits for doing so. They probably have more energy and excitement than I do with writing, lol. I can only hope I do not intimidate the newer members. Though it's either go big or go home, lol. Though if you still wish to write with me, even if it is from an outside fandom that I might be familiar with, I am more than happy to do so! I sometimes write the occasional Love Live! pairings of UmiMaki and UmiEli... because, as you can guess, Umi-centric fics kill me. There are other fandoms too, but I have yet to properly get my foot in the door due to time commitment in life. Once again, thank you so much for the list! Really appreciate you taking the time to do so. I will let you know whenever the new project starts. This time, in full completion for once, lol. It's been a while since I came back to this website. Quite interesting to see how much it had changed from the past 2 years. The news about RIVER being deleted by the author is very sad. That was one of my favorite fics to go back to and read... Is there any new good AtsuMina ones to read or have they really sunken and there are no chance of revival? You know Kuro, I'm surprised you're still moderating around here considering your OTP is Mayuki? I believe they are still alive, right? Have you been writing or just sitting back and watch over? Oh? I thought Sayanee graduated a long time ago lol... What's the other forum/fandom are you trying to keep afloat? I'm curious about the issues that you'll closing your eye for. How bad can it be? A long time ago, something like 3 years ago, I have read an AKB fic but I can't refind it. 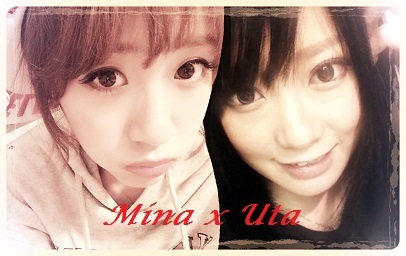 The story was something like that : Takamina and Atsuko are a couple and Yuko and Kojima too. Also, Yuko is the childhood friend of Atsuko. 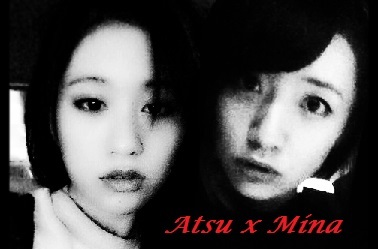 And then, takamina try to be here for Acchan and hide her feelings for her and be just a friend who take care of Acchan. If I remember well it was an jphip fic but I'm not sure at all.